Like any accident, losing a tooth prematurely is something no one expects to happen. Surprisingly, more than 5 million teeth in children and adults are knocked out every year! Losing a tooth unexpectedly can be scary, however, there is no need to worry. Knowing what to do when a dental emergency occurs can help lead to a quick resolution. With proper action, a tooth that has been knocked out can be reinserted into the tooth socket. The longer you wait, the less chance the tooth will be retained for life. To avoid infection and pain, seek immediate dental help when a tooth is broken or knocked out.. If a dentist isn’t available, go to a hospital emergency room. According to recent studies, replanting a tooth in the range of five minutes to an hour is optimal. When a tooth is knocked out, carefully pick up the tooth by the crown. The root of the tooth can be damaged and contaminated easily and should not be touched when picking up the tooth. After carefully picking up the tooth, gently rinse the tooth with milk or water. Do not scrub or scrape the tooth. Do not wrap it in a tissue. If Possible, Try Reinserting the Tooth. If the damage is not severe, try carefully pushing the tooth into the socket with fingers. Hold the tooth in place with gauze until seen by a dentist. Store the Tooth in Cold Milk. If the tooth cannot be placed back into the mouth, store the tooth in a container of cold whole milk. You can also obtain a Emergency tooth preservation kit. Bathing the tooth in your own saliva will protect your teeth until you reach the dentist. It is important to keep the tooth moist to help keep it alive. Do not store the tooth in water because water can damage root surface cells. Primary Teeth Should Not be Replanted. 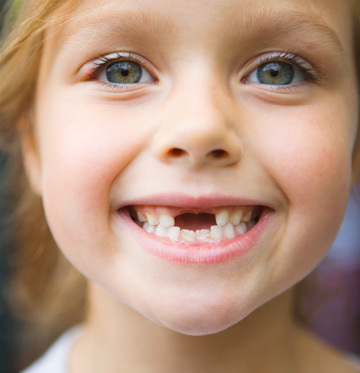 If your child’s primary tooth is knocked out, it should not be reinserted into the tooth socket. Reinserting a primary tooth can damage developing permanent teeth. Teeth Lost to Periodontal Disease Can’t Be Saved. Be sure to take preventative measures to help reduce your risk of periodontal disease. Unfortunately, the tips above will not help save a tooth that has fallen out due to periodontal disease. To help prevent this dental emergency, make sure that your child wears protective gear, including a mouth guard and helmet when playing any contact sport. Also, avoid hard foods and using teeth as tools to open things!